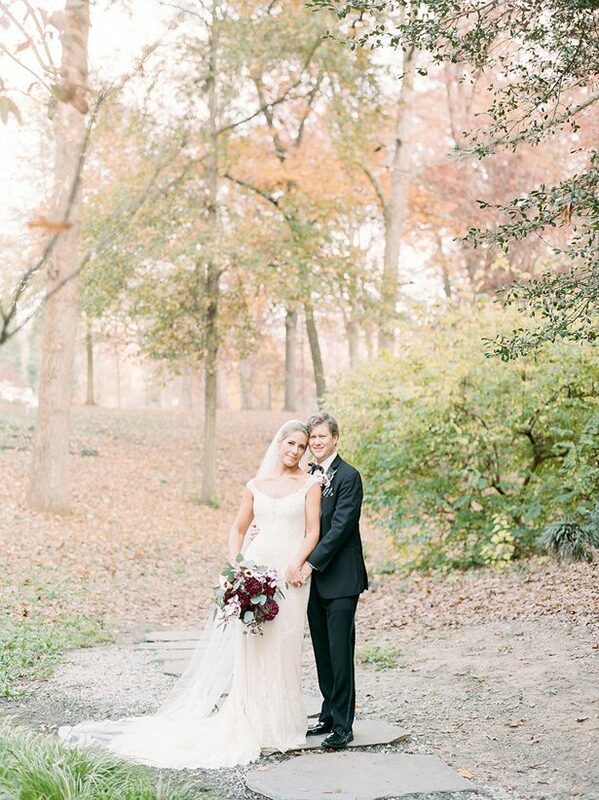 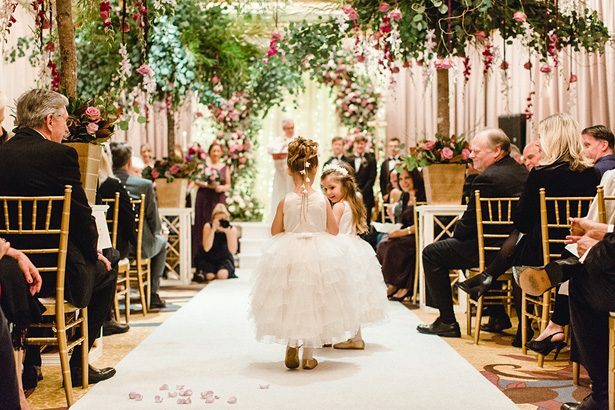 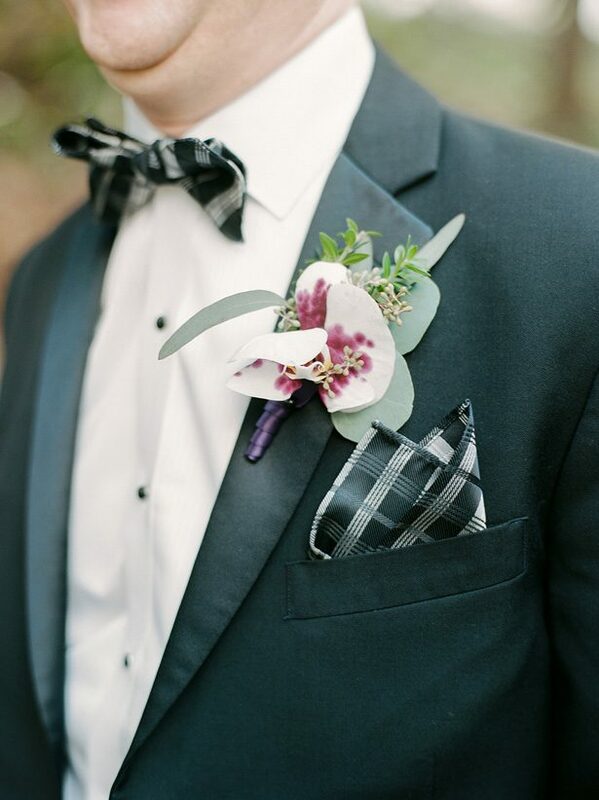 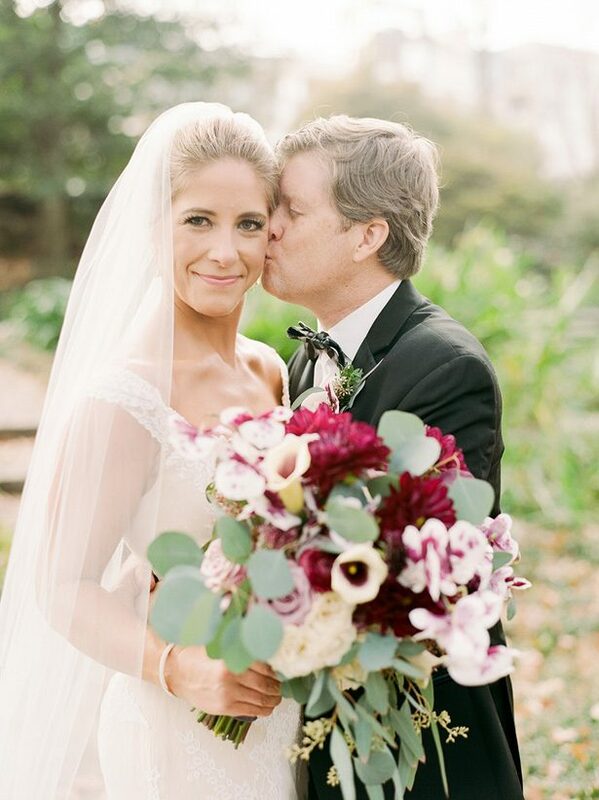 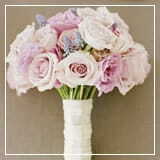 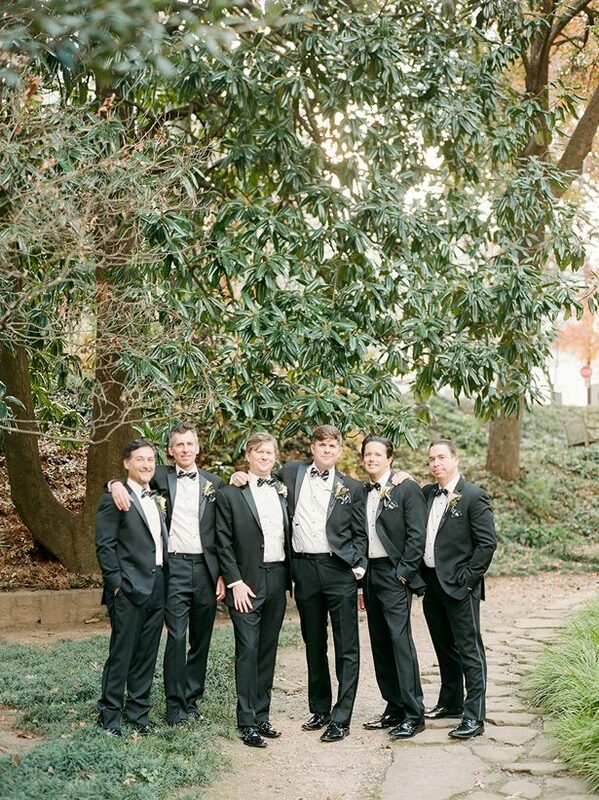 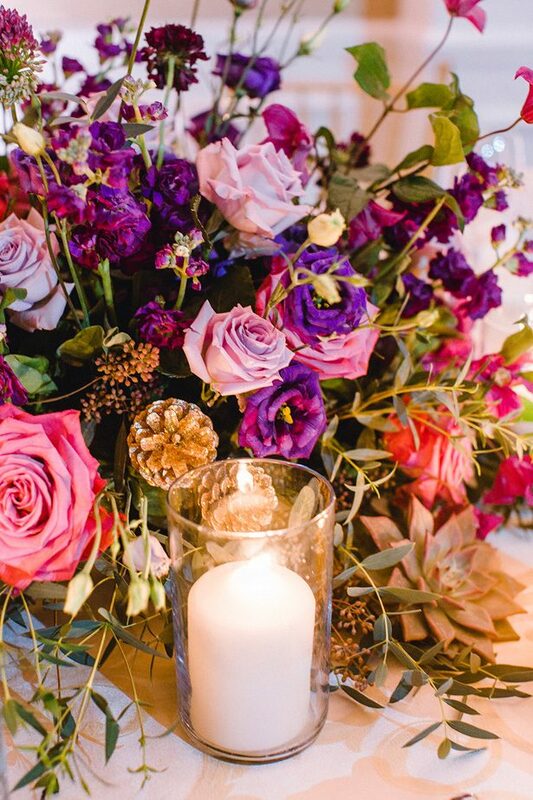 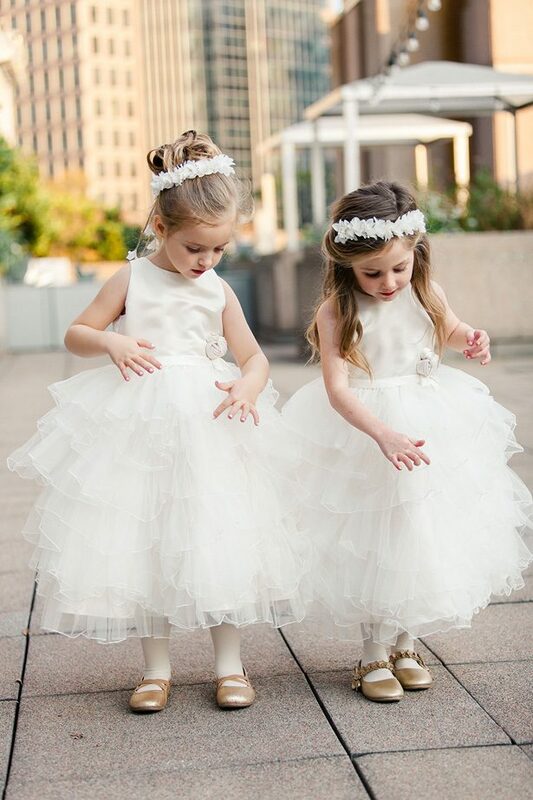 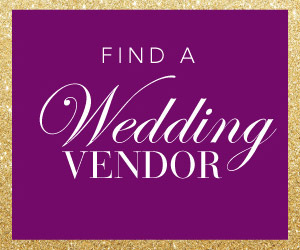 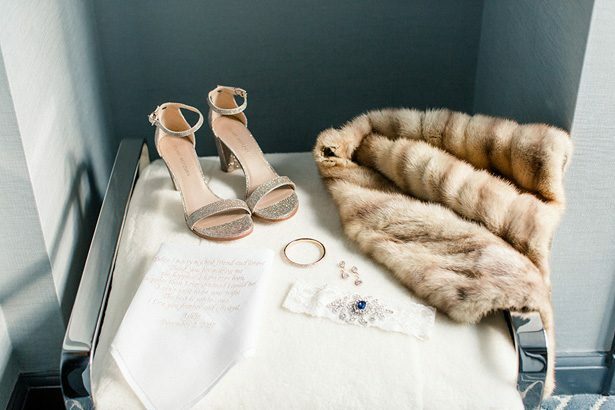 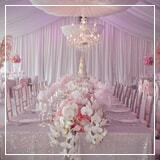 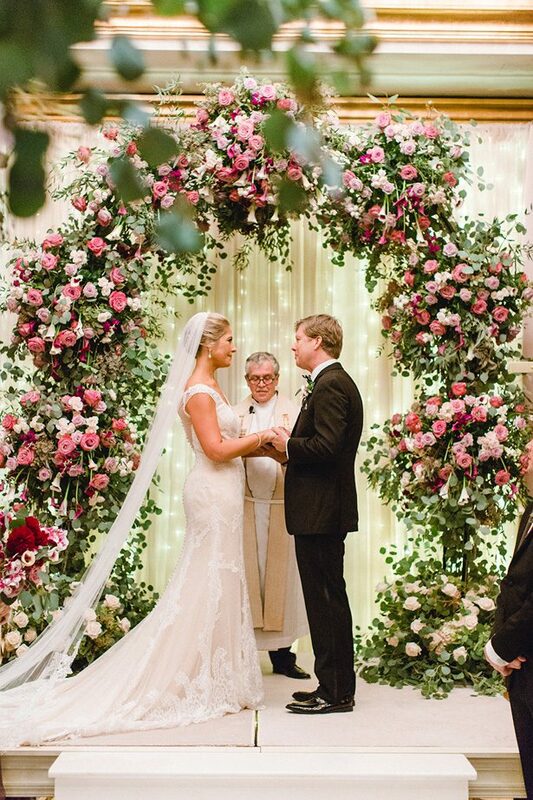 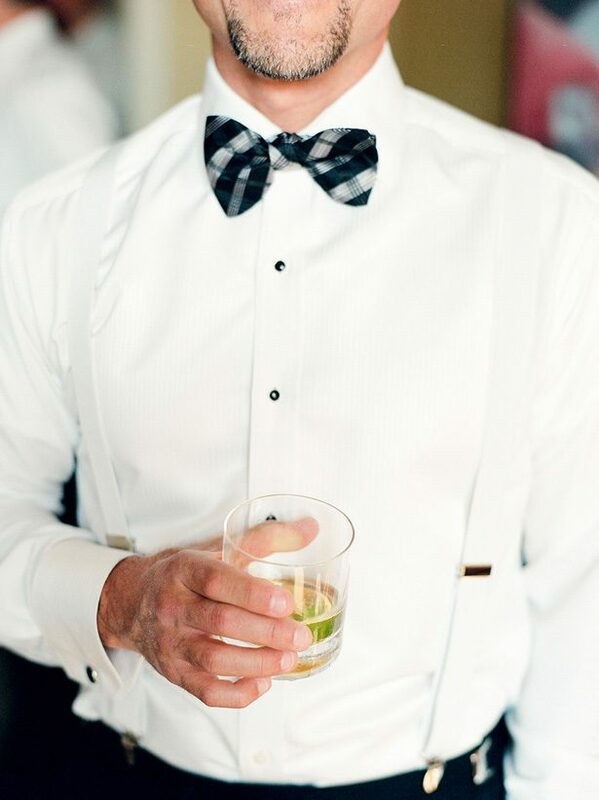 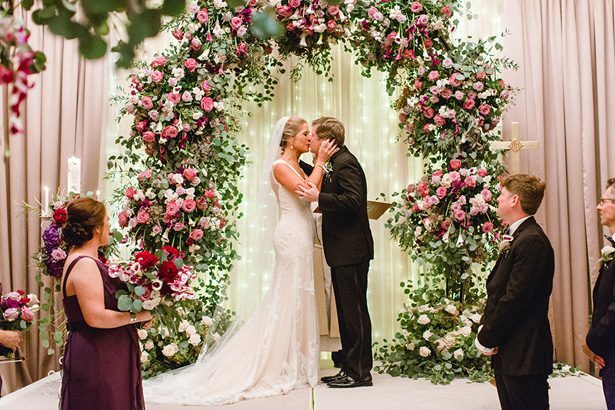 This winter wedding shows that romance is really a year-round affair! 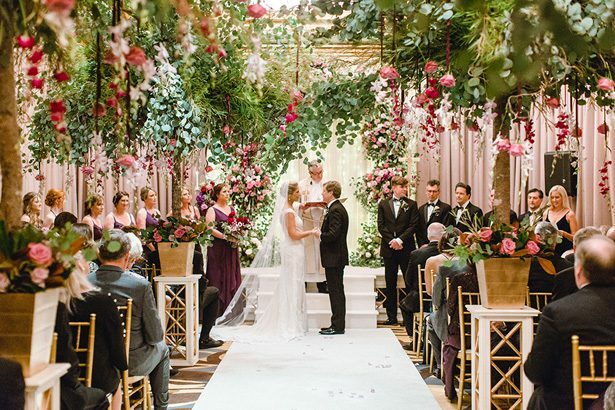 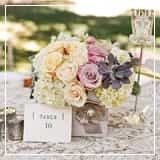 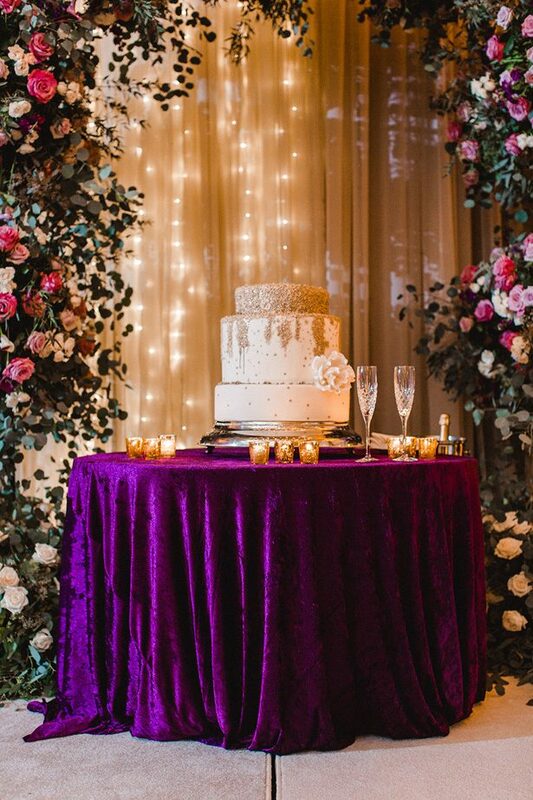 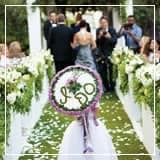 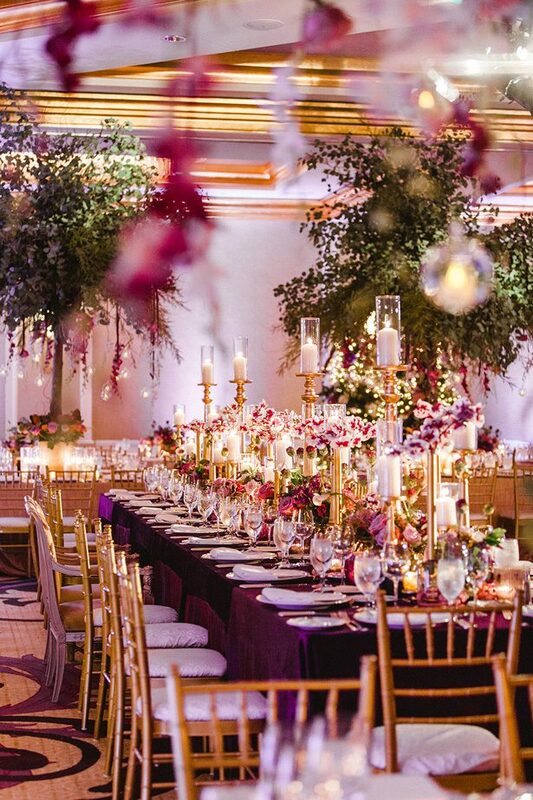 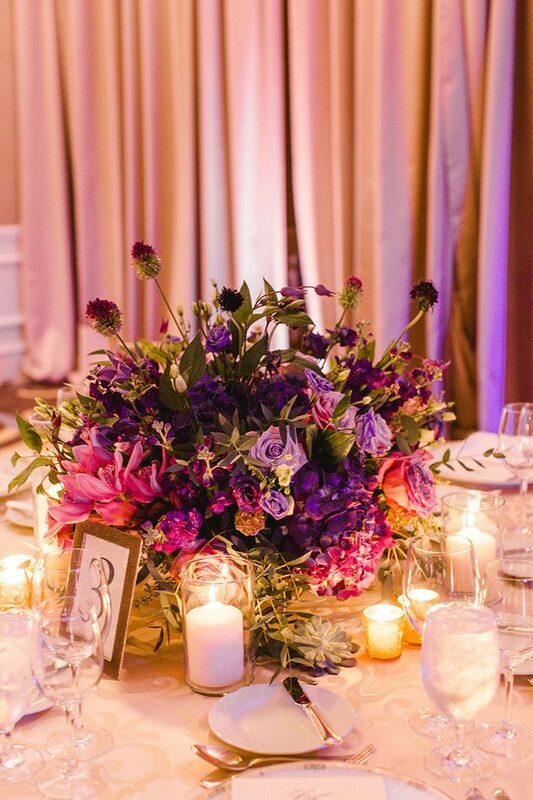 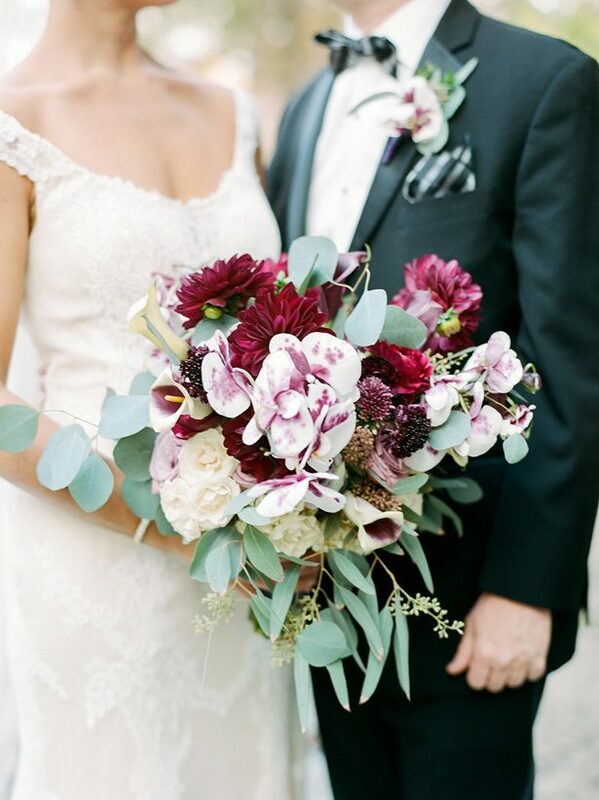 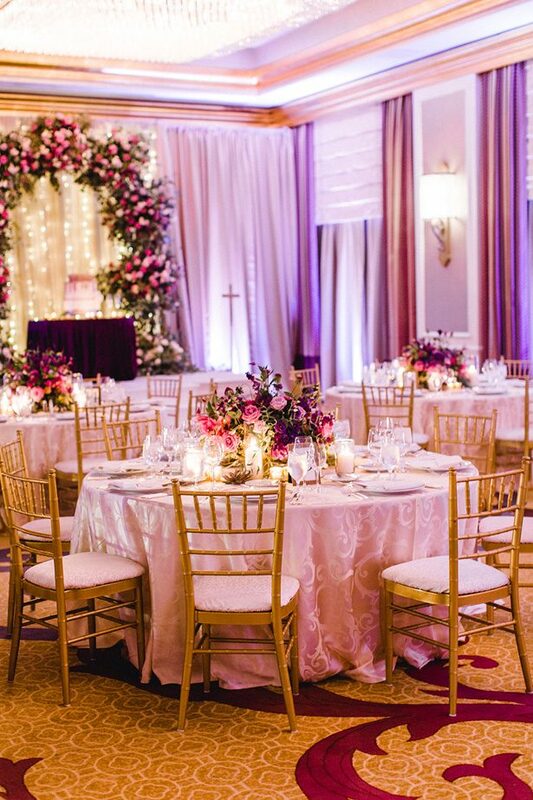 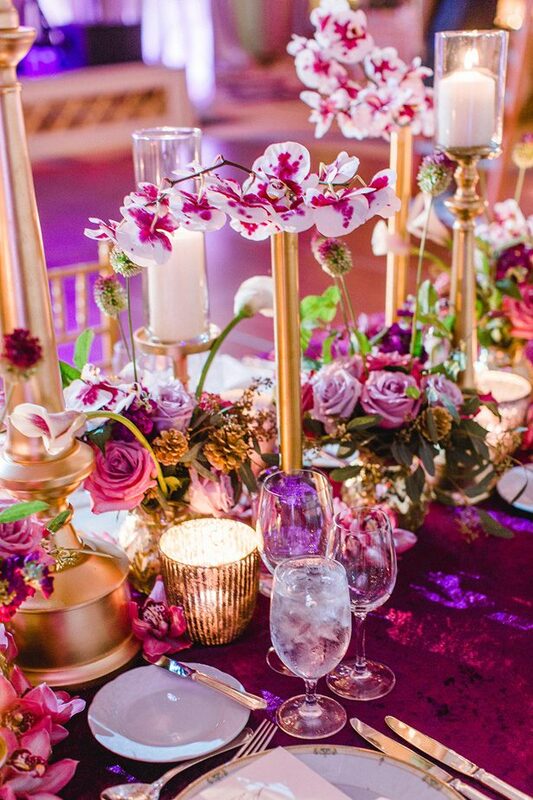 I loved the use of burgundy and deep reds in the flowers for the stunning outdoor ceremony — then the flashes of purple and pink for the indoor reception! 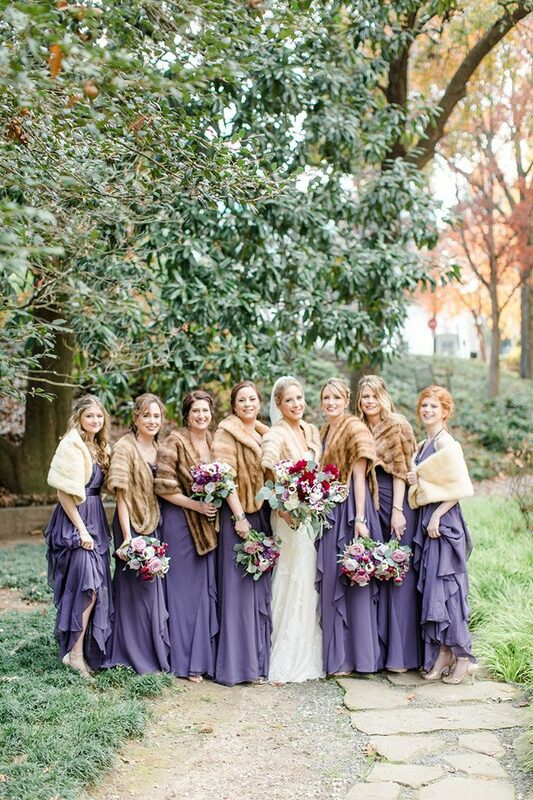 The bride was stunning in her Matthew Christopher gown — and the fur shawl was such a gorgeous touch for staying warm outdoors! 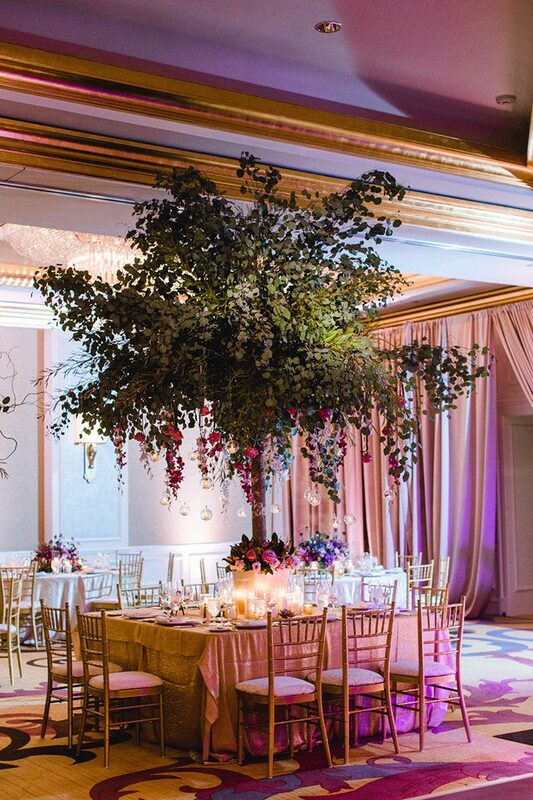 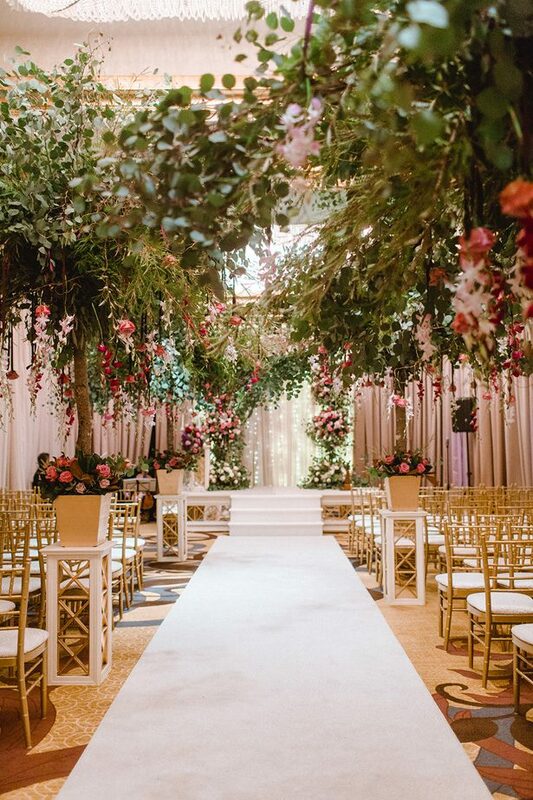 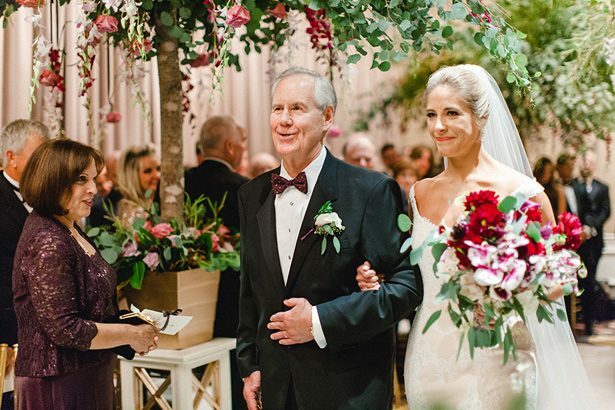 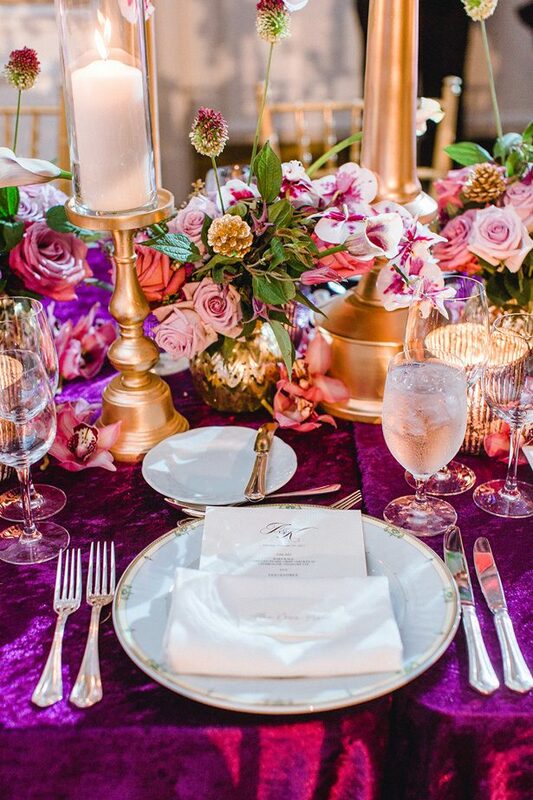 The wedding used gold details, lush greenery, and bold colors to create a magical, whimsical atmosphere for all of their friends and family to enjoy. 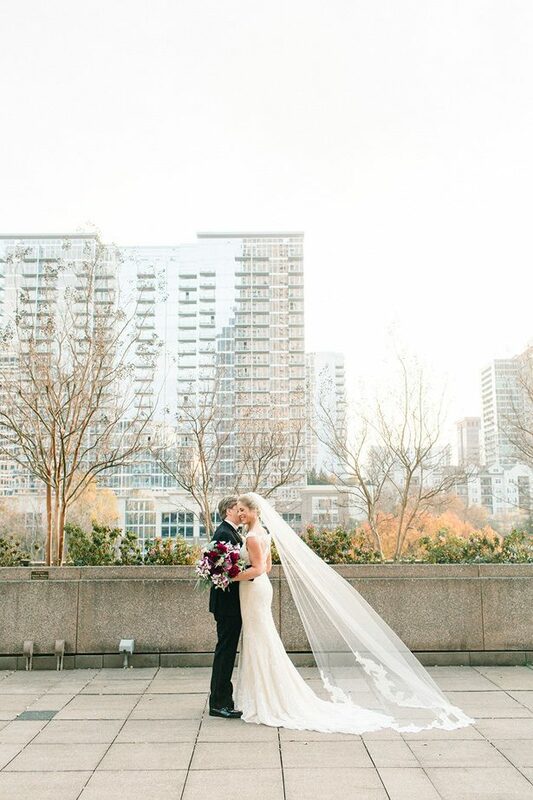 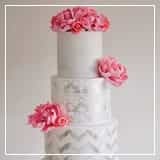 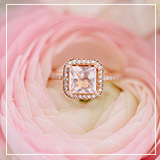 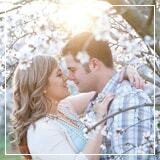 Check out the FULL GALLERY from Melissa Schollaert Photography to see how a luxury wedding can really bring the magic!